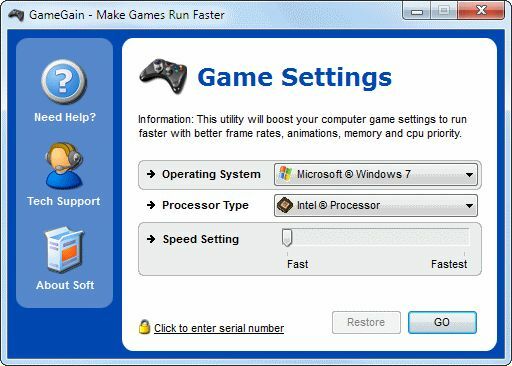 GameGain for Windows from PGWare is a utility used to Optimize your computer for PC gaming. 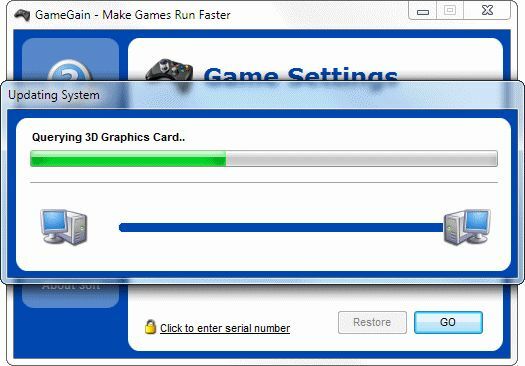 GameGain makes several Windows registry and system changes to increase the performance of your current computer, hopefully saving you the trouble of having to upgrade for a certain game. These changes made to your computer improve memory usage, how foreground applications are prioritized with the CPU, hard drive access read and write speeds and how fast graphics can display on your screen. Deep system analyzer and diagnostic feature which attempts to find and repair any potential problems with the computer affecting its performance. Note: GameGain for Windows is shareware. This download will provide a limited trial with some features disabled. You can unlock the full program by purchasing a license.